Stevenson explores the human capacity for evil in this detective story. 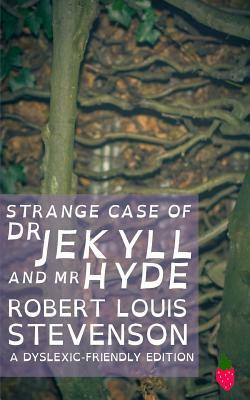 The search for Mr. Hyde and his true identity reveals a wild aspect to the human character. It is a fight between good and evil, and a fight between that which is civil and that which is monstrous. Considered one of the greatest works of its time, this deeply psychological novel is intended to shock and let the reader discover themselves. This edition is published in the OpenDyslexic font, which aids readers who suffer from common reading errors. Robert Louis Stevenson was born in Edinburgh, Scotland in 1850. During his life and travels, he wrote many famous works, including Treasure Island (1883), Kidnapped (1886), and Strange Case of Dr Jekyll and Mr Hyde (1886). He would come to travel to the US and through the Pacific. Throughout his life, he remained a devout essayist and musical composer. His works are widely considered some of the greatest in English literature. Stevenson died in 1894 in the Samoan Islands.